Creation of a good musical album is a very time-taking process and, as a rule, engages many people. In addition to the band musicians, the sound recording studio members – engineers and producer – also participate in recording the standard release. Further in the article, we will describe which functions each member of the studio process performs, what is peculiar about their profession and what is the exact difference between the record producer and the executive producer in the easy-to-understand format. 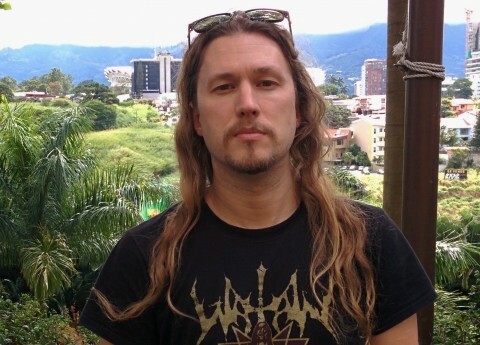 The Swedish multi-instrumentalist, producer, sound engineer, head of Necromorbus Studio Tore 'Necromorbus' Stjerna has helped us to see into such a specific topic. Over the years of his activity, he has managed to work with many cult bands (Deströyer 666, Funeral Mist, Inferno, Mayhem, Shining, Watain, etc.) as the producer and engineer, a few years – as the concert bass player of the band Watain, with which he has also been cooperating as the producer and engineer since 1999. In addition to all of the above, Tore is also a live sound engineer of Watain, Mayhem, and Arcturus. Although he is a very busy man, Stjerna has kindly agreed to widely comment on the peculiarities of such professions as live sound engineer, recording engineers, and producer. Sound engineer (audio engineer, recording engineer) is a specialist responsible for the technical aspects of a sound production. Depending on the field of his activity, audio engineer designs and controls the sound quality at conferences, live music concerts, in theaters or any other venue, he produces the best quality of sound for music releases, movies, video games, TV or radio shows etc. Working on music release at the recording studio, a sound engineer handles a mixing and/or a mastering of the material. Based on his duties, such specialist is called a mixing or a mastering engineer. Noizr: How can sound engineer, which works at live shows, handle mixing and mastering as well? Some people say that work at concerts in the aftermath negatively affects work at the studio. And what do you think about it? Tore Stjerna: I wouldn’t say so. To me, they go very much hand in hand. I originally come from a strict studio background, but I’ve benefitted greatly from working with live sound. For one, you have a whole other reference point for music reproduction, which has improved my mastering skills a lot. Knowing first-hand what areas of the spectrum that quickly become fatiguing is paramount to a good master, especially when it comes to metal music which tends to have a very congested spectrum. It has also made me work faster with processing sources. In a live environment, you’re usually a bit more limited in terms of what you can do, so you work with what you have and get better at it. You can sort of compare it to when I first started out with studio recordings vs how things are nowadays. It’s way too easy to over-process things nowadays because everything is always available to you at the tip of your finger. But it can make you forget the importance of preserving the source. Mixing engineer is a person responsible for combining ("mixing") the different sonic elements of recorded music (vocals, instruments, effects etc.) into a final version of a track (also known as "final mix" or "mixdown"). He or she mixes the elements of a recorded piece together to achieve a good balance of volume, while at the same time deciding other properties such as pan positioning, effects, and so on. As a result of mix engineer’s actions, the final record should not only meet all the necessary specifications and fulfill the idea of the music composers but also cause an emotional response from the listener. A mixing engineer needs to be able to strike a balance between the "ideal", technically perfect sound, and the atmosphere of the music itself, as well as the vibe and the branded style of its creators. Noizr: Name the most common mistakes during the mixing stage. Is it a good or bad thing when a musician mixes his own music? Why? Tore Stjerna: A very common mistake is to focus too much on detail and to take things out of context. Let’s say you’re working on guitars, so you solo them and start notching out whistle frequencies that you find annoying. With every change you make, something else pops out and before you know it you’ve ended up with 7-8 notches. Bring the other instruments back in and it sounds all wrong. Bypass all the processing you just did and you notice that it didn’t really make much of a difference in context either. It’s very important to understand how different elements in a mix affect each other. As soon as you take things too much out of context, you’re in treacherous waters. Also, it’s important to consider that there’s only so much space to fill with a mix. Especially when working with metal music, it’s easy to end up with "extra everything". You want big drums, big guitars, big bass, big vocals, big keyboards, and so on. When you put it all together, you end up with an oversaturated mess. If you want big drums, realize that everything else needs to take a step back to accommodate for it. If you want the guitars to be the main focus, the drums can’t be up front at the same time or they will start competing with the guitar. As for musicians mixing their own music, there’s nothing bad about it per se as long as they know what they’re doing, but it does open up to some internal conflict. It’s often hard, dare I say even impossible, to truly have enough distance to your own work to understand how it will be perceived by other listeners. You’re already too involved in it to be able to take a few steps back and get a proper perspective of things, so you will be biased to making certain decisions. Mastering engineer is a person who "polishes" the already mixed material, making it sound solidly as a single work which is especially important when, for example, several tracks of the album were mixed by different people or recorded at different studios and therefore they have a different sound. Mastering is a final stage of music recording process, it’s a high-quality work which can be provided only by a professional with good expensive musical equipment, the cost of which sometimes amounts to hundreds of thousands of dollars when it comes to analog devices, and several hundred dollars in the case of plug-ins. That’s why, having the necessary devices and properly equipped studio for mastering, appropriate education, and experience, a sound engineer can recognize various flaws that were not heard during mixing and correct them, as well as add final touches and accents to make the material sound loudly, solidly, clearly, and so on. By the way, nowadays some musicians also use virtual digital mastering which is carried out with the special sound editors. This is done in order to save money, which, of course, significantly affects the quality of a final music product. Noizr: Name the most common mistakes during the mastering stage. Some people say that one of the biggest problems of newcomer engineers is that they install all the plug-ins indiscriminately. What do you think about it, is this really a common problem nowadays? Tore Stjerna: These are two separate issues, really. The problem with going overboard with (most likely cracked, but different topic) plugins is something that is not inherent to mastering. Filling your palette with too many color nuances can take your focus away from what you’re doing. It’s too easy to just get lost in experimenting with different tools instead of creating something. A common problem when it comes to mastering is that people don’t have an accurate idea of what it actually is. Many think that mastering is synonymous with “making it louder” which also fuels the flames of the loudness war – something that I’m glad to see having less and less of a role but is still painfully present in the business. It’s also too easy to mangle the source material and you really need to know what you’re doing. I guess you could liken it to getting your driver’s license; you may be able to go forwards and backwards, left and right, but that doesn’t mean you should be out in traffic. It takes a lot of training, just as you need a trained ear before you can offer your services. I want to take the opportunity to point out though that this shouldn’t discourage anyone to go down the mastering path, as I feel is often done in internet forums for example. You’re bound to make some duds when you start out, but you probably don’t charge premium prices for it either. Just realize that it takes a lot of training and practice to get good at it. In the recording industry, there are two types of producers – the executive and the record producer. The first one is responsible for business decisions, while the second one produces music. A music producer is a professional who oversees and manages the sound recording and production of a music performer. He has quite a wide range of responsibilities among which are gathering musical ideas for a music project, collaborating with artists to select cover tunes or original songs by a performer/band, working with artists and help them to improve their songs, lyrics or arrangements, as well as controlling the recording process, mixing and mastering. A music producer can work with a performer/band on a regular basis or just on his/its separate albums, songs, videos or live performances, he also can act as a mixing and mastering engineer. Sometimes producer’s duties are performed by musicians on their own, also there are cases when all of the producer’s roles during the recording process, along with writing and performing, are handled by only one person in a one-man band. Noizr: Briefly, tell us about the specifics of the producer’s work – is there more routine or more creative duties, or it’s fifty-fifty? In your opinion, what skills should the producer have? Tore Stjerna: If you start going by routine, you’re sort of on the wrong track. Working as a producer requires that you’re very flexible to be able to adapt to different work environments. Different artists or bands have vastly different needs and requirements, and it’s the producer’s role to quickly figure out what they are and proceed accordingly. It will depend so much from case to case that it’s hard to give any general advice, but adaptability is very high on the list. Also, consider that the artist probably came to you for a reason, so try to early on figure out what among your skills they might be looking for, what they expect of you and also what is holy for them so you don’t start stepping on anyone’s toes. Beyond that point, you need to be able to move everything forward and make sure that it’s all on track. You may need to encourage a musician who feels that their performance is not up to par, provide ideas and direction when the band gets stuck, and making sure that everyone feels comfortable with how things are moving forward. The latter can be difficult if the band has internal conflicts, but you need to find a way to deal with that as well and keeping spirits up. How creatively involved you really depend. Sometimes the band wants a lot of your input on composition and arrangements; other times they may have a very strong idea of what the final product should be, and in that case, it’s up to you to use your skills as a producer to realize it. The role of a producer can often seem a bit hazy to people, which is why you sometimes have gotten production credit when you haven’t really produced or, more commonly, just get only engineering credit instead. Composing, performing, recording, producing, mixing, and mastering re sequential processes of the creation of almost every modern musical work. If earlier the performer had to get the sound-recording studio interested in order to obtain a single or album record contract, now the ability to create and present his/her material to the public is only the matter of musician’s personal desire. 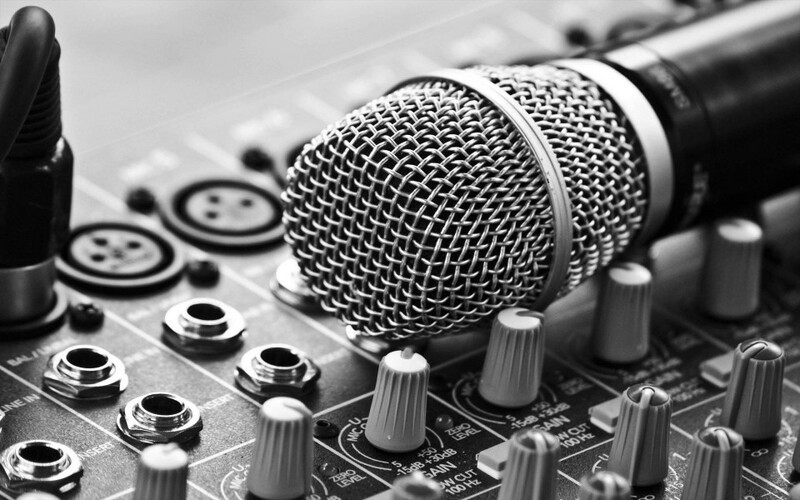 Technical progress also allows musicians to do everything on their own, avoiding the participation of professionals – the numerous plug-ins and analog devices help you to organize your own home recording studio, and various online music services can be used as the excellent platforms for promotion of independent artists. This, however, is also the main disadvantage of such projects – because of today’s abundance of opportunities, there are too much boring, monotonous, and sometimes just unfinished "raw" music which in the old days wouldn’t have had the green light from recording studios. On the other hand, nowadays nothing holds back talented performers from endless experiments or opportunities to express themselves by choosing their own path. The main thing here is a constant work on yourself which over time will make from an enthusiastic amateur a true professional of his craft.